This LED light uses 90% less energy than an equivalent HQI floodlight and is also maintenance free with an average life of 30,000hrs. The days of changing lamps every few months are a thing of the past! 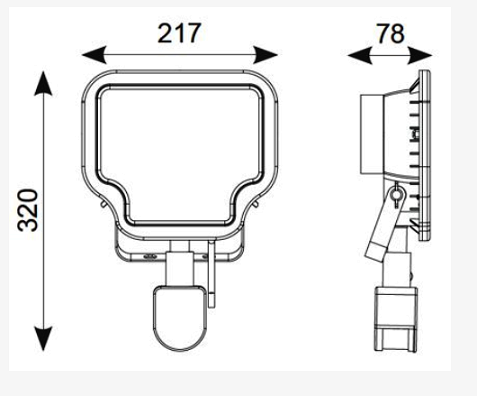 This 50w LED floodlight comes with a passive infra-red sensor which will turn the floodlight on. This makes it ideal for security use and extremely energy efficient. 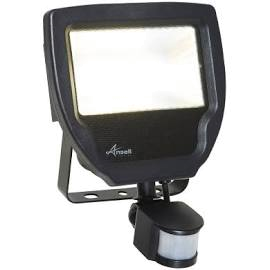 This floodlight features a 4770 lumen output. This 38w LED floodlight with passive infra red sensor is a perfect choice for those seeking a practical, energy efficient LED floodlight for their space. Whether that be commercial or industrial, it is ideal for those environments and more.